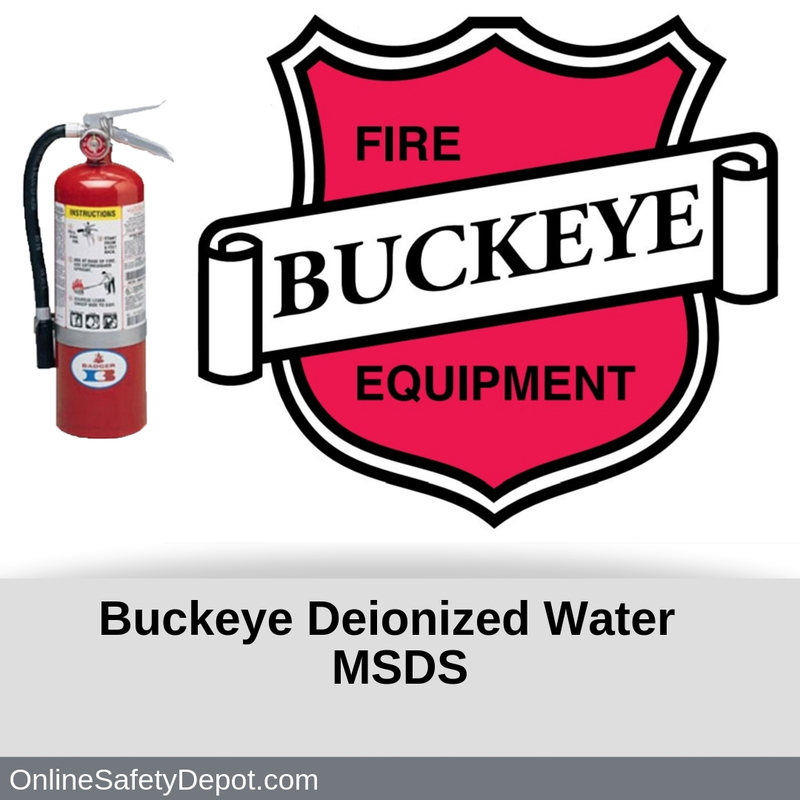 Buckeye Fire manufactures a line of Deionized Water fire extinguishers that discharge a fine mist of water droplets that effectively cool and suffocate a fire without leaving any residue. The deionized water is non-conductive and non-toxic. This clean agent is most often used on Class A (combustible) and Class C (electrical) fires and a safe option for many classes of fires making it an ideal choice for many Home and worksite settings. Because deionized water fire extinguishers do not contain hazardous material (hazardous compound or carcinogen) no Safety Data Sheet is legally required. However, for general information purposes it is noted that all HMIS Rating categories are listed as “0”, it is considered stable, and not considered a regulated substance for transportation.